Warm up to a piping hot cup of this delicious and easy to make Crock-Pot Thick & Creamy Hot Chocolate recipe today! One of the BEST slow cooker hot cocoa recipes you are going to find anywhere! Today is National Cocoa Day and to help celebrate I thought I would post this delicious recipe I make all the time for Crock-Pot Thick & Creamy Hot Chocolate. This is without a doubt the best hot cocoa you will ever have! This is the real deal folks, not the instant…just add water packaged stuff. My kids love having a cup of warm cocoa when they come home from sledding or playing out doors or just when they come home from school. This is by far one of our most popular recipes! Readers love this one because it truly makes some of the most delicious hot cocoa ever. We have many readers who have left comments below letting us know that they have made this for school parties, office parties, added booze (wink wink) and one reader who said leftovers made an amazing ice cream base! In a large Crock-Pot combine all ingredients and stir. Cover with lid and cook on low for 2 hours, whisking every now and then to combine the melted chocolate chips with the milk. Ladle into mugs and serve with marshmallows or whipped cream. For a peppermint hot chocolate you can stir in about 5-10 crushed starlight peppermints or 2 or 3 crushed candy canes. For an adult beverage try adding peppermint schnapps or Kahlua. – Yum! This recipe is vegetarian (not vegan – as it contains dairy products). You can feel comfortable eating this recipe or serving it to your vegetarian friends as long as dairy is allowed. This is just what I need right now with these cold temps! Yummy! Thanks for stopping by Little Mommy, this recipe is so nice and warming for these cold days! OH my. Sounds so good. I have been on the search for the perfect hot chocolate. I will have to try this! Thanks! Hi Gina, thanks for stopping by. Give this recipe a try. It is a winner, I promise! I’m going to make this for my small group Sunday night. Sounds AMAZING! Are you able to double it? Can it be reheated? Thanks for the awesome recipe! You can double the recipe and it can be reheated. I would think Almond milk would taste yummy. Although I have never tried it. If you do try it with almond milk please let us know how it turns out for you! Stacey, I honestly have no idea about the pattern on the cup. Sorry wish I was more help. I am kinda late here but…..
people seem to be interested in the cup and saucer in the photo. Love this recipe. But also love the tea cup and saucer. I have to find it! Just made it for a class of 4th graders!! I am so glad your 4th graders enjoyed it Tracy! Did you have to double up the recipe for an entire class? We have rather small class sizes here in our city and I usually make pretty small dixie cup size servings for little kids. So it would depend on how many kids you were serving and how big of a cup you were giving them if you need to double the recipe. Did you double it for a class? As I mentioned in a previous comment, it would depend on the class size. I had never made hot chocolate other than the packets. I searched for a good recipe for awhile. I recently used this recipe. My husband and I thought it was good, but our guests thought it was a little to rich. Any tips to take it down a notch? maybe add more milk?.. Yes this recipe IS super rich. Which is why I love it. But if it is too rich you could take out the heavy cream and replace it with 2 cups of milk instead. And it would still be rich but maybe not so much. this would make enough for about 8. 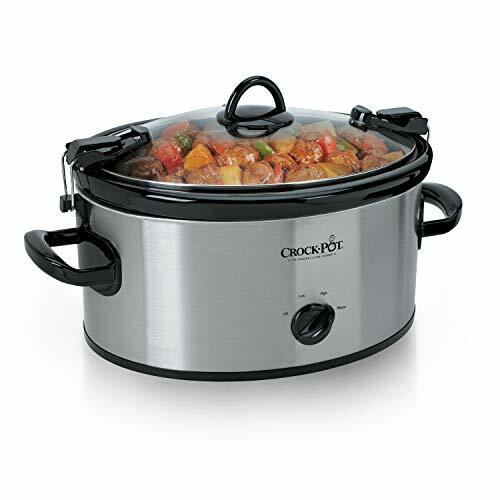 What size crock pot do you use? 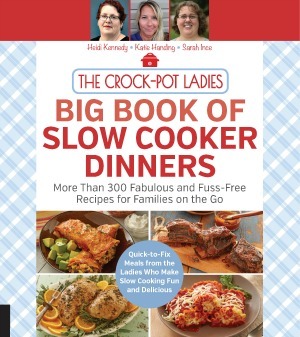 Does the recipe fill all the way to the top, if using a 4 qt crock pot do you know I could double the recipe? It has been a while since I posted this recipe so I am totally going off of memory here. I know I used one of my large oval crockpots when I made this so it was either a 9 quart or a 7 quart and if memory serves it filled the crock-pot up 1/2 to 2/3 of the way up the sides. I think this recipe is going to pretty much fill a 4 quart crockpot up almost to the top so I don’t think you could double it in a 4 quart. How much Kahlua would you add? Would you substitute it for some milk? Thinking about making it for New Years, looks yummy! I guess it would really depend on taste here. I would start with maybe 1/2 cup and give it a taste and if you want it a little stronger add more. You could do it either way, replace some of the milk with the Kahlua or just add the Kahlua to the hot cocoa as is. This is a pretty forgiving recipe and it will still be delish either way. This is so being made tomorrow!!! I have been looking for a good recipe and this sounds like the one!!! Thanks for sharing!!! This sounds delicious! I am going to try it for our holiday party. Do you think I could actually make it on the stovetop (maybe on low heat) and then transfer to the crockpot to keep it warm? I’d like to make 2-3 batches of it to keep it full during the party and that much just won’t fit in my crockpot. Hey Ginger, thanks for dropping by and leaving a comment. You can totally make this on the stove top on low heat. This is actually a recipe I made originally on the stove top and converted it over for the crock-pot. It is good either way! So I made a double recipe on the stovetop and then transferred it. Worked perfectly! And this recipe was a HUGE success!! EVERYONE asked me to send them the recipe. I set it up as a hot chocolate bar with marshmallows, choc chips, whip cream, candy canes, and peppermint schnapps. I enjoyed it by itself though! Just FYI for anyone interested – a double recipe filled my 4 qt. crock pot twice. Thank you so much! I have to make this for a third grade class of 25. If I double the recipe, will it be enough? When it calls for whipping cream do I just put in the liquid whipping cream or do I actually whip it and then put it in? With this recipe you just add the liquid whipping cream. You don’t whip it first. I made this for my sons winter ONEderland first birthday and everyone at the party said it was the best hot chocolate they ever had! Many asked for the the recipe, it was a hit. That is awesome Jessica, I am so glad everyone loved the recipe! Im making this today for my sons 1st Birthday I’m planning on tripling the recipe should I increase the cook time ? Hey Amanda, happy birthday to your sweet 1 year old from us! You may need to adjust the cooking time just a smidgen if you are tripling the recipe. Really this is not “cooking” rather it is warming and melting the chocolate. But I would probably cook it 20-30 minutes longer or until everything is melted and hot. Let us know how your guests like it. I am so glad your guests love this recipe Amanda! Always good to hear! I had a bit left over, and I discovered that this recipe also makes for fantastic ice cream. If I make this at night then turn the crock pot to “keep warm” can this be served the next morning? Hi Rudy, I don’t see why that wouldn’t work, although I have not personally tried it. May I ask where you got that mug set? Its adorable! I think that the china is corelle ware–I certainly looks like it is!!! Oh my goodness, I am so excited for this! Its currently going in my crock pot right now. Someone shared this recipe on Facebook and I had to try it! I just snitched a few spoon fulls when I whisked it a few min ago. WOW! AMAZING! Do you mean 8 oz. cups? Yes, there are 8 oz. in a cup. my family and I have been making this recipe for over a year, we love it! Question??? Has anyone ever warmed this mixture on high? If so, did it turn out just as good? I will need to triple the recipe. If you are doubling or tripling the batch you can warm it on high. But once the chocolate chips melt together it is time to turn it down to low so that you don’t get it too too hot. I love this recipe! I was looking for something to surprise co-workers with today, to kick off Christmas week at the office in a fun way- this recipe did not disappoint. I found chocolate flavored condensed milk (they have caramel now also) and since i was doubling the recipe used 1 regular and one chocolate. Made it a hot chocolate bar with lots of topping options, but really this was wonderful on its own. I have since been informed this is now an official annual event at work. I have directed everyone that asked for the recipe to your page, you have several new fans today. Thanks you for sharing this recipe. Oh that just made my day Helen! Merry Christmas and thank for sharing our recipe with your co-workers! If I double the recipe will it ll fit into an average size crockpot?? Hi Cara, if this hot chocolate recipe is doubled it will fit in a 6 to 7 quart slow cooker. I wish I could figure out how to rate recipes because I’d give thick and creamy hot chocolate five stars. It’s,super rich and chocolatey. I made the original version exactly as the recipe is written two days ago and we’re still drinking it.. After our initial servings I transferred the cocoa to a 13×9 glass baking dish to cool in the fridge. I was worried it wouldn’t get out of the danger zone quickly enough so I floated two of those hard blue ice packs in it. The next morning I poured it all into a clean and empty milk jug. The first time I reheated a small batch on the stove for my two oldest kids and myself, but since then I’ve heated two coffee cups full in the microwave. I can’t taste any difference in the reheating method. This recipe is a keeper. Cannot wait to make this for a hot chocolate bar as part of an artist’s reception this Saturday in northern Minnesota! It is only be in the single digits that day, so I know this will be welcomed! I hope your group loves the hot chocolate Shirl! I think it will hit the spot on a cold day! I made this recipe EXACTLY as written in a 6 quart crockpot for my daughter’s 4th birthday party. There were 9 adults and 7 children. It filled my crockpot about 2/3 to 3/4’s the way full. It was the perfect amount and it definitely didn’t need to be doubled. We did have cake so it wasn’t the only sweet dessert. We also served this with several toppings for a hot chocolate bar… Marshmallows, peanut butter chocolate chips, cinnamon sticks, sprinkles, crushed Oreos and some kahlua. Kids and adults loved it! It is rich, but it’s supposed to be! Hot chocolate with Hershey syrup is not the taste we were going for to serve at a party ?. We will definitely make this again. So glad you and your family enjoyed this recipe Lmala! A hot chocolate bar at a party is a wonderful idea. And yes…this is a rich hot chocolate. It really is the best I think! Not sure if the page has changed but I am unable to view the recipe ingredients list. It only shows the amount of each ingredient but not what the ingredients actually are. Please help me, lol, I plan on making it this weekend, Thanks!! Hi Chelsi…that is totally weird. I can see the ingredient list OK on my end. Perhaps you can try clearing the cookies and cache on your browser to see if that helps the situation? When my twins were in Kindergarten I took one Crock-Pot batch of this hot cocoa to each classroom for their Winter holiday party and served it in small Dixie cups. I brought some mini marshmallows, a can of spray whipped cream, some mini chocolate chips and crushed peppermint candies and let the little kids top their little cups of cocoa with whatever they wanted. I figured with the other sweets they were getting in the form of cookies and candies that the little cups would be just right. I’m making this for xmas eve dinner! Yummm!!! I made it exactly as it says and truthfully it was grotesquely sweet and kind of syrupy, but I knew it had potential! I really thought the major problem was too much sweetened condensed milk. I reduced it to only 1/2 can, and only 1 teaspoon vanilla, and kept everything else the same. I actually made a double batch and used just 1 can milk and it was great, Still very very rich and creamy but just right, really I think it was how it was meant to be. I am just glad I did a test run and tweaked it before serving this at the party. Thanks for your feedback Chelsi! This recipe is indeed pretty sweet. Our family likes it on the sweet side. But it is good to know that 1 can sweetened condensed milk worked great for you to bring down the sweet factor! I threw a big Christmas party this year and had a hot chocolate bar and used this recipe. I had over 30 people in my home and after doubling the recipe exactly it was perfect and a hit! Lots of people asked for the recipe. It was rich, creamy and chocolaty. I put out whip cream and marshmallows to calm down the richness and boy did everyone love it. Thank you for posting this recipe! We are so glad that your Christmas party guests enjoyed this hot cocoa recipe Suzie! It sounds like your party fun! If we double the recipe, do we double the cooking time too? You should only need to cook it about an hour or so longer if you double the recipe. Thanks for this awesome recipe. I made it for christmas last year and it was an absolute hit. I served it with mini marshmallows and homemade whipped cream. I’m making it again tomorrow. FYI, you can actually fit a double batch in a 6 quart crock pot. I did last year, and it filled it up about 1/4 inch below the lid (and indeed, if you add up the ingredient and consider that 2 cups of chocolate chips is less than 2 cups after melting, you come to 12 cups or 3 quarts for a single batch). We started it at 6am and kept the crock pot going until around 6-8pm and were drinking it all day. I then put the leftovers into the fridge and was reheating it for 3 or 4 days. Thanks for the kind words Ron, I am so glad you enjoyed the recipe. I hope you had a Merry Christmas! I absolutely love this recipe! I don’t drink coffee, so hot chocolate is my hot drink of choice. We’ve made it several times now and it is always a hit. The only thing we do differently is use 1% milk instead of whole because that is what we usually have on hand. Delicious! So glad you enjoy the recipe Jana. Any kind of milk works in this recipe. Whole milk just makes it ever so slightly thicker and creamier. But marginally considering the whipping cream! Can I make this the day before and heat it the next morning.? Yes you can Jan. You will just need to stir it well.